Catch Well Hung Heart LIVE at FEEDBACK FEST! 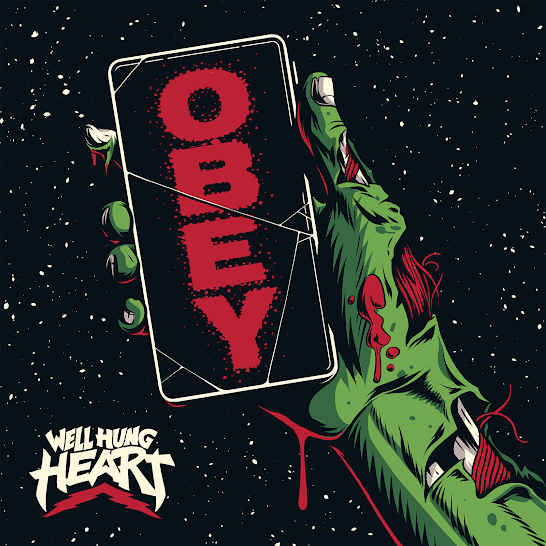 California-based rock and roll band Well Hung Heart has released the first song & music video from their forthcoming album, “OBEY”, a dystopian glam rock anthem for today’s times. The music video for “Obey” features a guest appearance by Noodles from The Offspring, whom Well Hung Heart opened for in 2017. The song is the first taste of what is to come for their upcoming LP, Songs for the End of the World, to be released later this year with an accompanying visual album, and followed by a feature-length Horror Film with US & European Tour Dates. Well Hung Heart first formed in Orange, California as a duo in 2011 by artist and performer, Greta Valenti and blues guitar veteran, Robin Davey. Producing their own music and videos, the duo quickly gained a following online and around the world creating melodic, driving rock songs often interwoven with dabbles of social awareness. Their first single, “The Music Made Me Do it” caused internet raucous with simultaneous instant popularity calling out the child abuse allegations within the Catholic Church in the music video, while also being musically infectious. Their first mix tape, The State of America, featured art created by Greta, using real U.S. currency and sold out within an hour. Their next two albums (Young Enough To Know It All and Go Forth and Multiply) received numerous radio play and awards for sound and video. In 2015, the self-titled EP, Well Hung Heart, showcased a marvelous musical evolution of melody and heavy groove, with the song “Touch the Sky,” earning them 16 weeks of airplay (6 weeks at #1) on KROQ, Southern California’s largest rock radio station. Their reckless and raw performances have earned the band numerous awards, tours throughout the United States, United Kingdom and Europe, performances at major Festivals (SXSW, Warped Tour, Rocklahoma, 35 Denton, Sturgis Buffalo Chip, Make Music Festival and more) and opening slots with acts like The Offspring, Linkin Park, Fitz & The Tantrums, Ozzy Osbourne, Awolnation, and Alice Cooper. 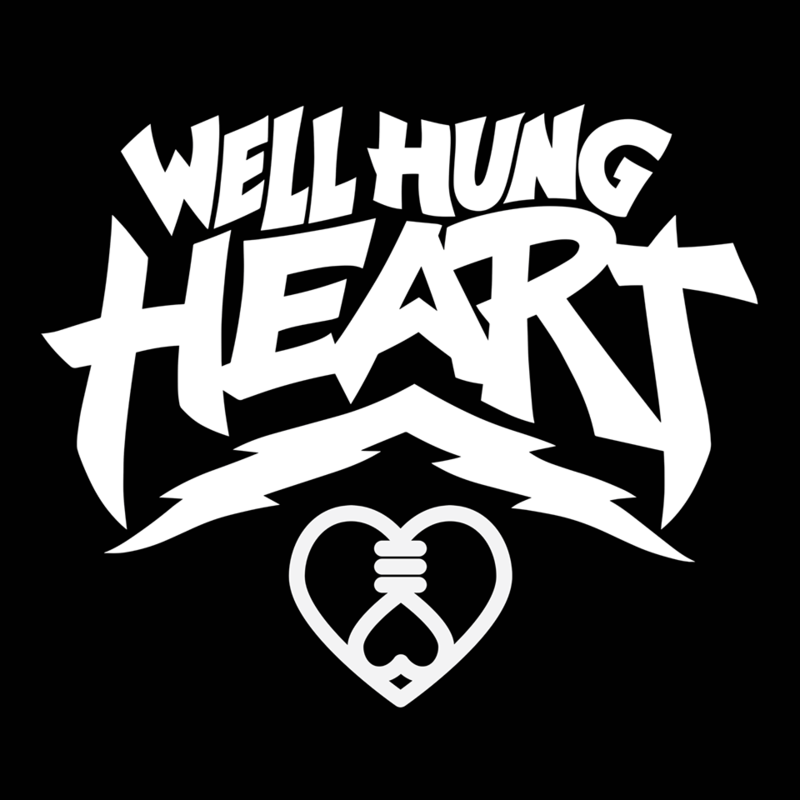 In 2016, Well Hung Heart launched their own music festival Feedback Fest to a Sold Out audience, as a way to showcase and integrate artists into the rock genre that felt weren’t getting opportunities they deserved because of gender, sexual orientation or diversity. Feedback Fest will return on August 18th, 2018 in Santa Ana, CA promising an unnamed headliner and a diverse lineup. The group has now evolved from the initial duo into a foursome by adding Southern California punk bassist and KROQ radio personality Danielle “Chip” Lehman plus dynamic powerhouse and Tulsa native, Brad Jones. Greta Valenti & Robin Davey also own a media company Grow Vision for which they have created award-winning films, television shows (like Live from Daryl’s House Daryl Hall of Hall & Oates show on MTV Live), YouTube content for major brands and music videos for artists like Bush and Papa Roach. The band is entirely self-sufficient and operates their own label, Grow Vision Music. The upcoming album, Songs for the End of the World, will be the first album from the new foursome-version of Well Hung Heart and will be accompanied with a visual album and followed by a feature-length Horror Film. LORDS OF ACID Are Back with ‘Pretty in Kink’!